Fit Tip #1: Make it enjoyable! Okay, this may seem like a duh, but hear us out: To get psyched about "exercise," children need the promise of an immediate benefit-and that benefit has got to be sheer pleasure. You'll never tear a tyke away from a Playhouse Disney marathon by telling him it's time to run around so that he doesn't develop heart disease. But if you say, with genuine enthusiasm,"Come on, let's go outside and have some fun!" your kid will be more than happy to get off the couch and follow you out the door. In other words,"It's your job to be trainer, coach, and cheerleader," says DiDio. Fit Tip #2: Make it a family affair. The kids of active parents tend to be active themselves, and that's especially true of moms: One study of 4- to 6-year-olds found that children of active mothers were twice as likely to be active as children of inactive mothers. (When both parents are active, their kids are nearly six times more likely to be active.) So join your kid outside, even though you may feel like lounging on the couch with a bag of chips instead. 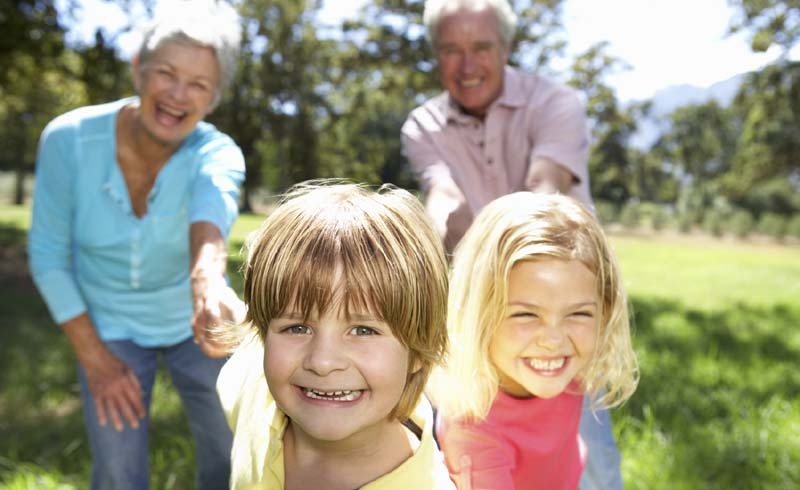 "When you plan family events, make physical activity part of it," suggests Faigenbaum. "Ride bikes or walk there. Even reading books about being active helps." Fit Tip #3: Make it an everyday thing. While you might get away with hitting the gym three or four times a week, your tot requires at least 90 minutes of activity each day. "It obviously doesn't have to be on a treadmill, and it doesn't have to be all at once," says Jennifer Helmcamp, M.D., assistant professor of pediatrics at Texas A&M Health Science Center. "A two-year-old simply needs to go up and down a slide or pull a wagon around the backyard for ten minutes at a time. He'll get all the benefits he needs as long as he accumulates an hour or more of activity over the course of the day." Fit Tip #4: Make it age- and stage-appropriate. It's important to choose activities that are right for a child's level of development; otherwise, she'll become frustrated or bored. Research bears this out: A recent study found that kids with well-developed motor skills were more active than those whose skills were less developed. "By improving kids' motor skills, we see positive changes in their self-confidence," says lead researcher Harriet Williams, Ph.D., a professor of exercise science at the University of South Carolina. "They participate more in games and other physical activities."